Deb's Cup of Tea: We were down to 2 scoops. 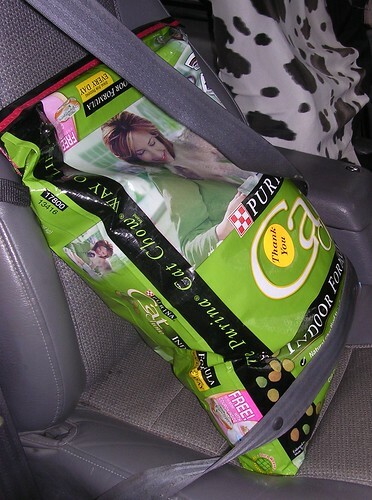 So I got another big bag of cat food. In spite of the upfront hit to the pocketbook, in the long run, the 18 pound bag is the best option. Yeah, it's in the way in the kitchen but I work around it and then they eat enough that the food can go into the container. I had to keep it safe.